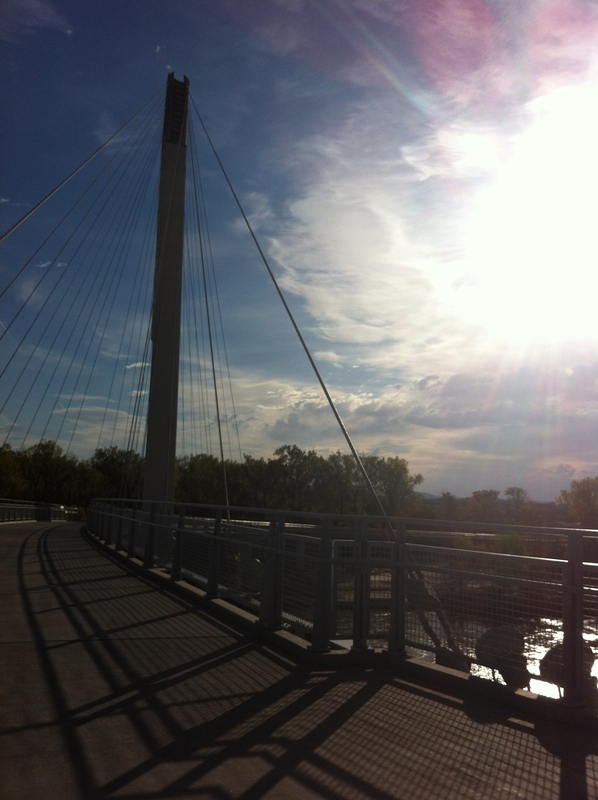 This was taken on the Bob Kerrey Pedestrian Bridge in October of this past year, on a cold, cloudy morning. This bridge is an architectural wonder that connects Nebraska to Iowa. Although we were cold, the beauty of the scene warmed us.